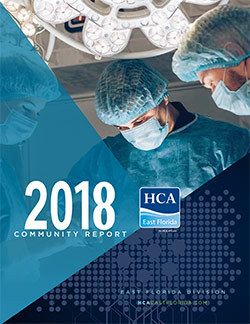 The HCA East Florida Division is a significant force in the communities we serve. We continue to take a leading role in fundamentally transforming the way healthcare is provided. Our entire team – our physicians, our nurses, our staff, our volunteers and each of our board members – is deeply committed to providing quality, compassionate, patient-centered care.